At Landscape Solutions, we have a reputation throughout Auckland for delivering pristine landscapes. We have the capabilities to deliver specialist grounds maintenance services for educational precincts (including private, public and tertiary education institutions), sporting clubs and venues (including golfing, and professional sport / turf surfaces, cricket wickets, synthetic fields), service infrastructure, commercial property, residential estates and strata, healthcare, aged care and retirement villages. We understand how effective neat, picturesque grounds can be in dramatically increasing a company’s reputation. First impressions count, so we make sure you’re sending the message that you care about the details. Our maintenance site team are experts in horticulture. 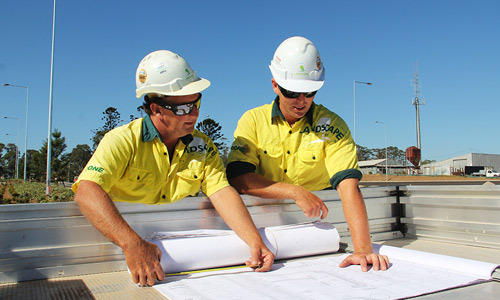 They will arrive on site each day ready to deliver a quality landscape, trained in the highest safety standards. Our Auckland team members draw on their creativity to solve problems, looking for cost-effective and reliable methods wherever possible. Albert Park is located in the heart of the Auckland CBD. Because of it’s history, the park holds significant value to the local Auckland community. Organic pathways lead to a more formal area where fountains and flower gardens can be found. Our team also ensures the sculptures and statues dotted throughout the park are always in top condition.